Need to get rid of Cigarette Beetles? 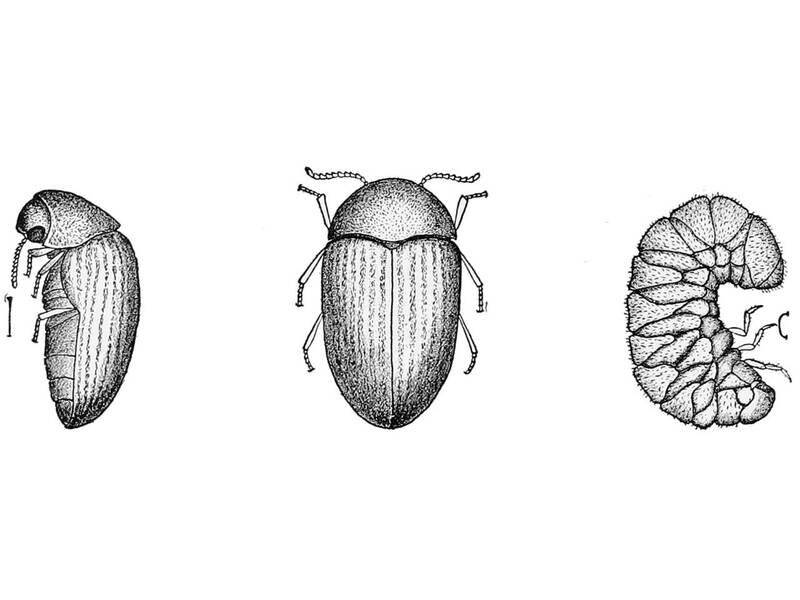 The cigarette beetle got its name from its reputation for attacking stored products (namely tobacco). This is why a major sign of their presence is holes on the sides of boxes. The cigarette beetle is quite small and light brown. They are fliers, and the most common time to see them out and about would be on late afternoons, early evenings and cloudy days (they aren’t huge fans of bright light). One defense tactic, when they’re spotted, is for them to “play dead”. Cigarette beetles love packaged food. The most common types of food they infest are pet foods and spices, followed by flour, cereal and pasta. They’ve also been known to infest books, leather, silk and old museum specimens. If you see the signs of a cigarette beetle infestation, you’ll want to inspect all potential products they may have infiltrated. If you think they’ve infested specific products, you’d be wise to throw them away. Once you’ve deemed what’s still ‘safe’, you should run a vacuum (or give a thorough wipe) to the infested area. This will remove any crumbs or leftover residue. To be even safer, you can transfer food products to sealed containers. Homeowners are able to apply insecticide and pest control products themselves, however, it can be difficult to hit all the cracks and crevices that cigarette beetles are using to enter. For this reason, we recommend calling professionals to handle the infestation. Not to mention, cigarette beetles can repopulate rapidly. That means if your treatment misses a few adults, they can quickly regrow their numbers. The Bug Man uses environmentally-friendly products and is the top option for pest control in Portland, OR and Vancouver, WA. Call us to schedule a treatment.